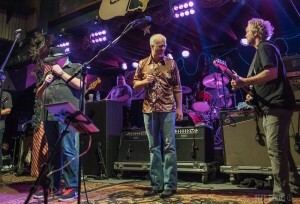 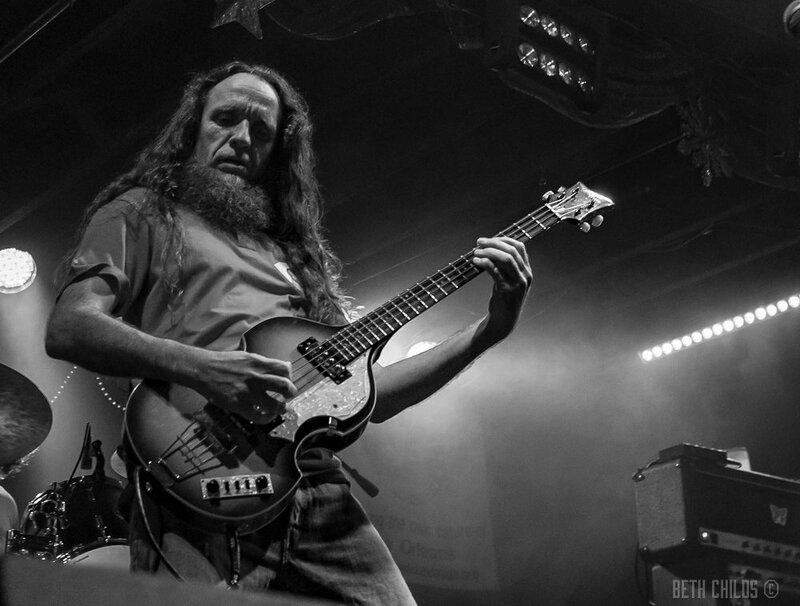 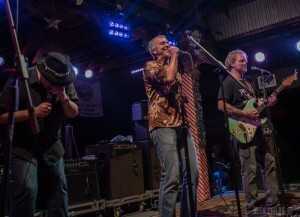 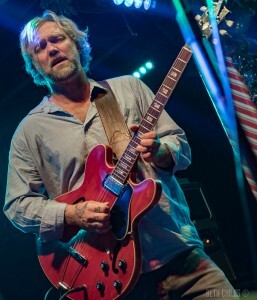 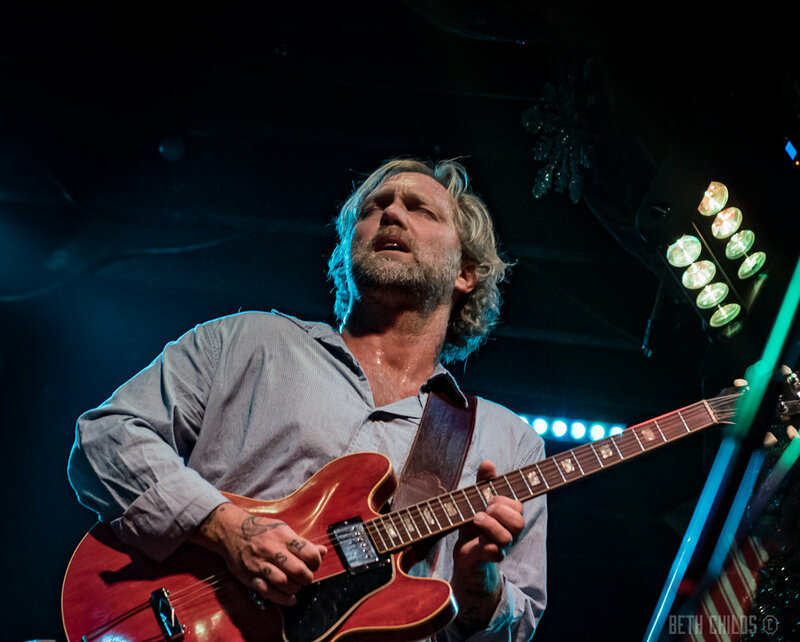 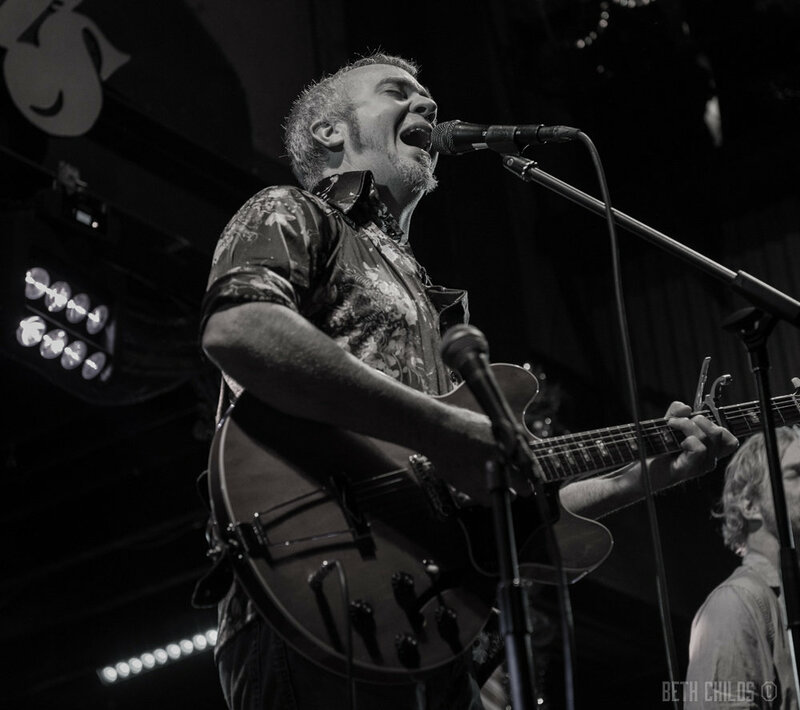 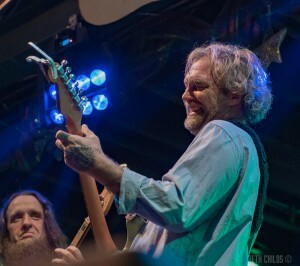 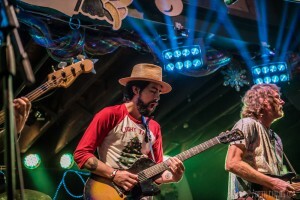 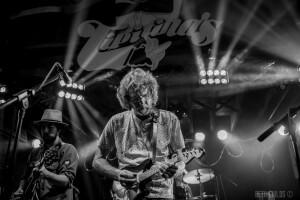 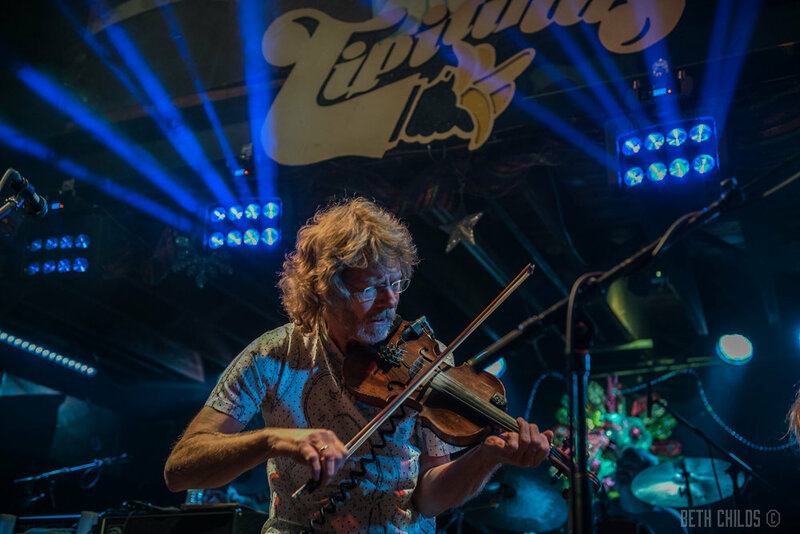 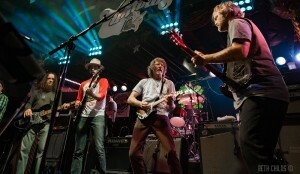 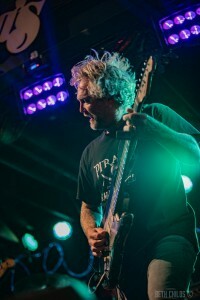 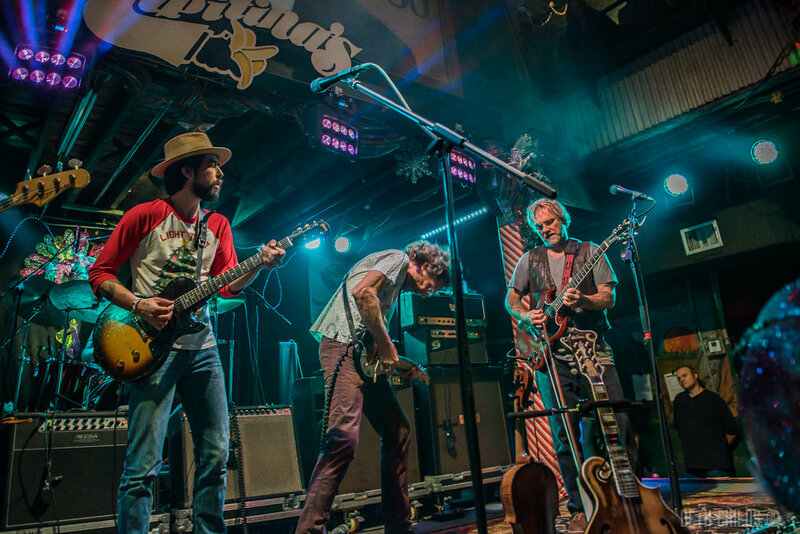 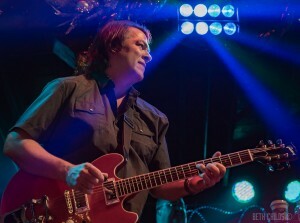 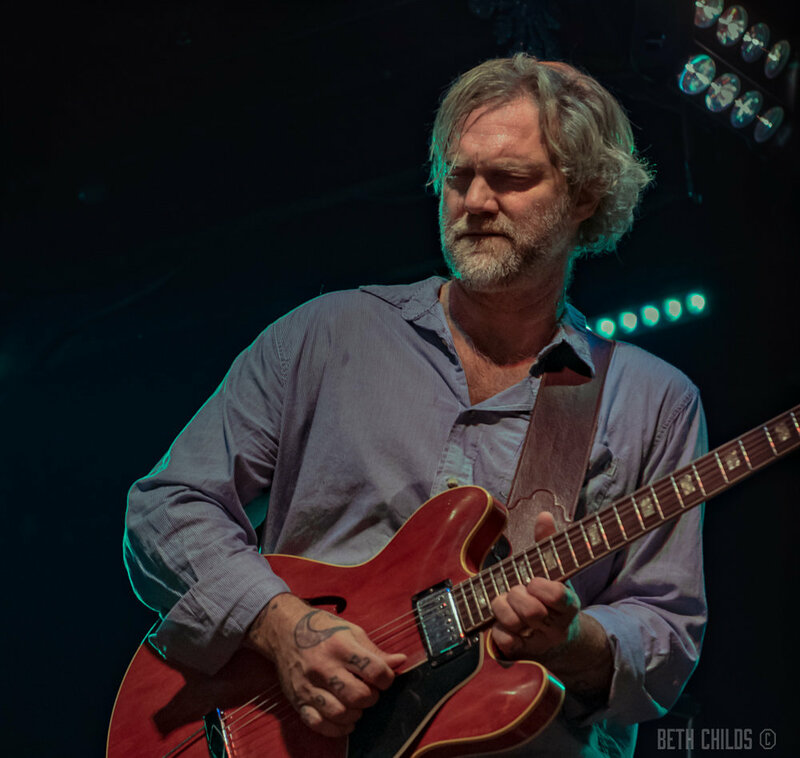 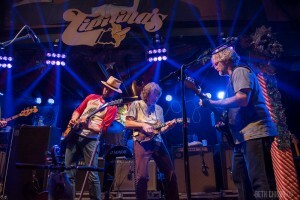 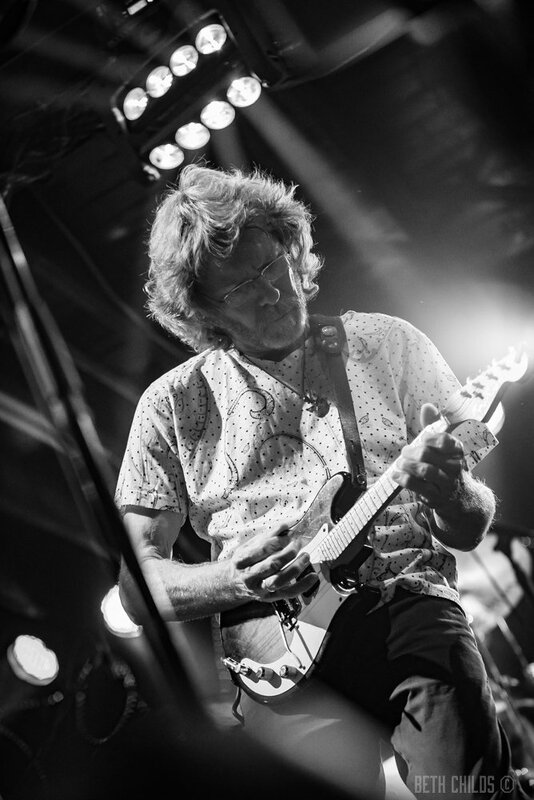 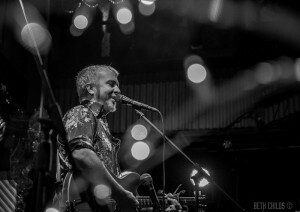 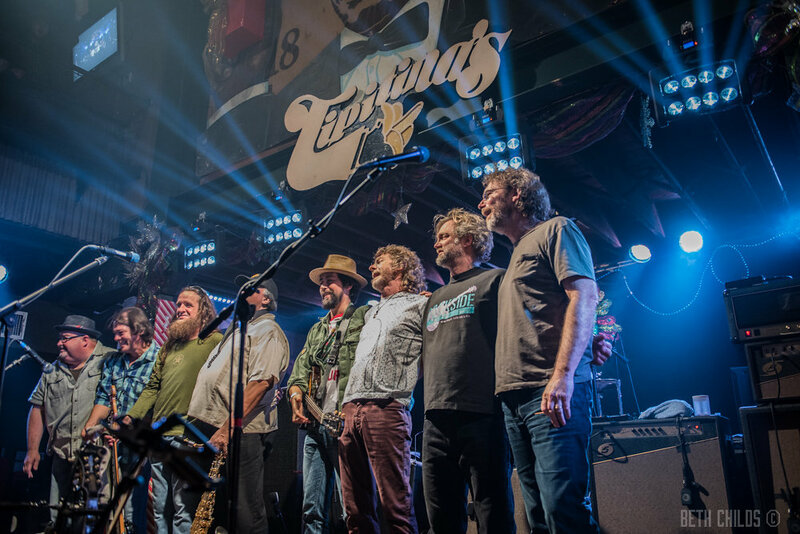 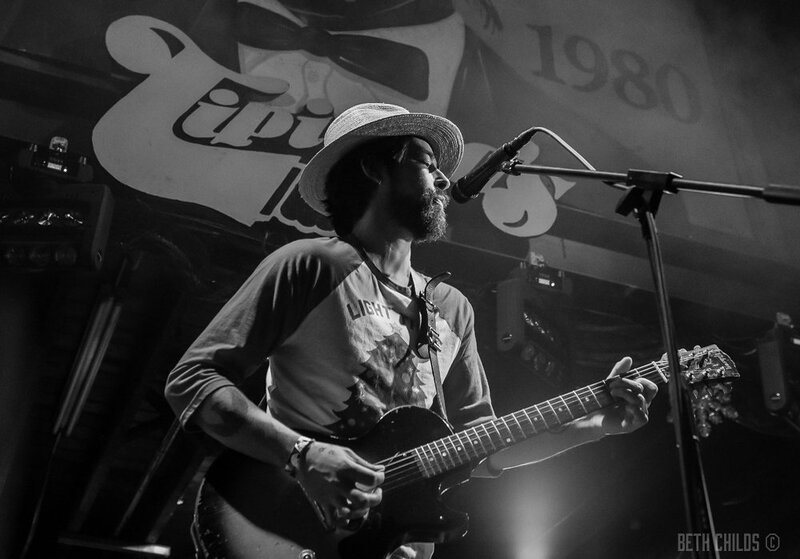 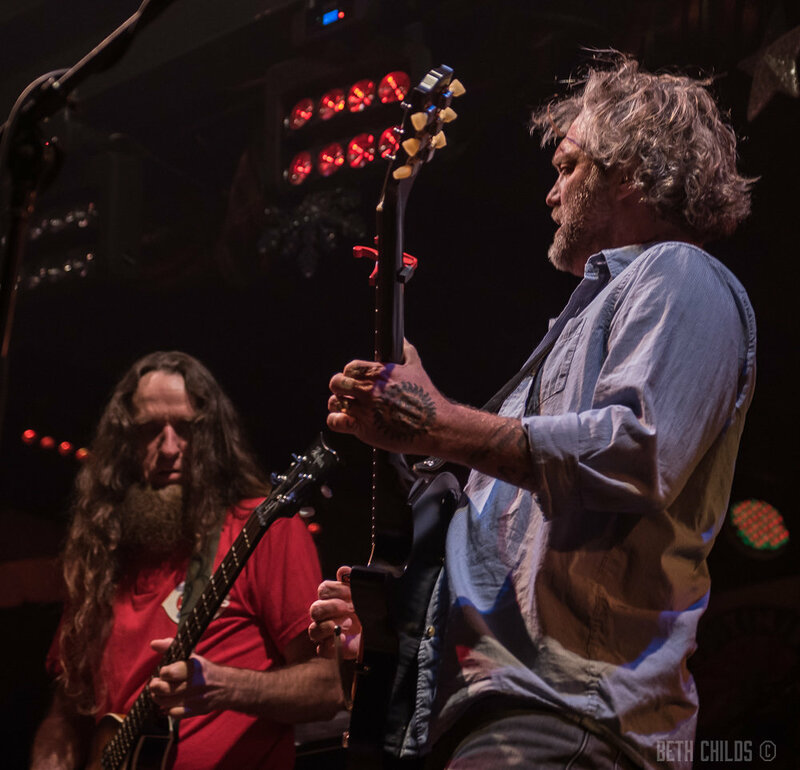 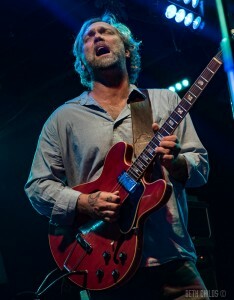 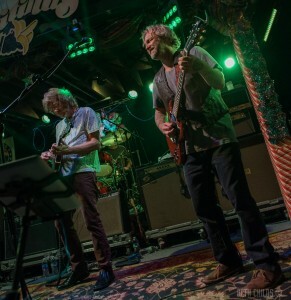 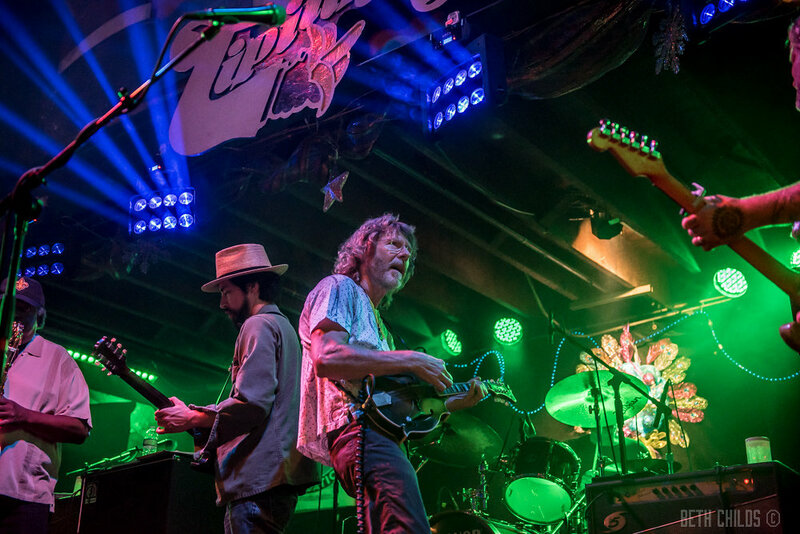 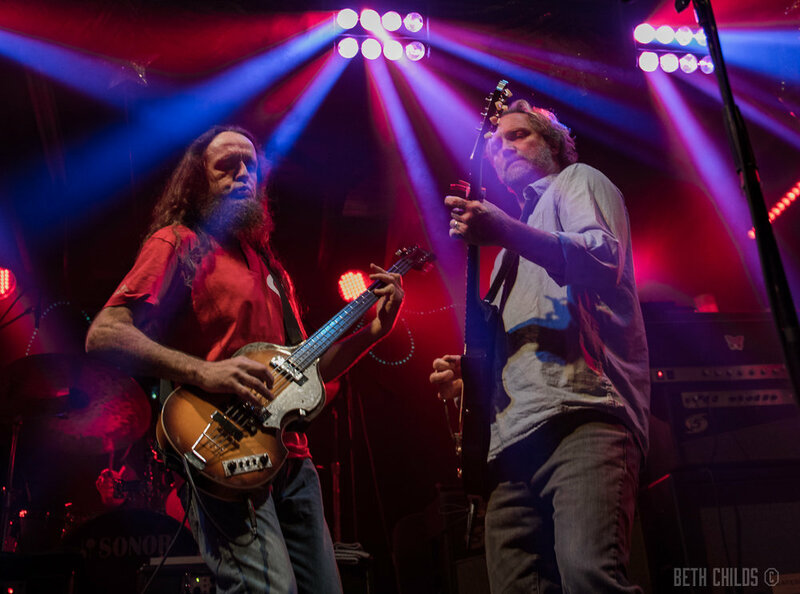 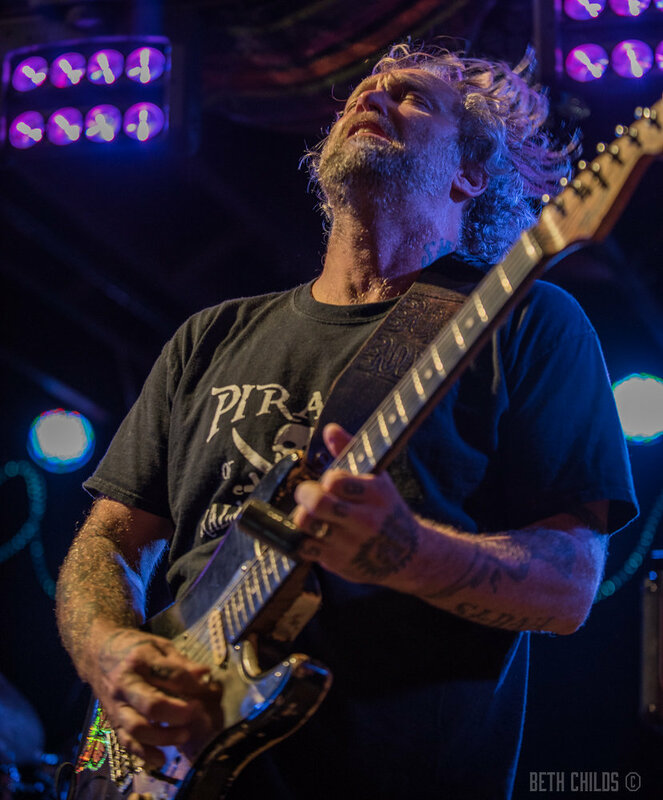 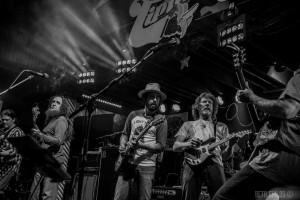 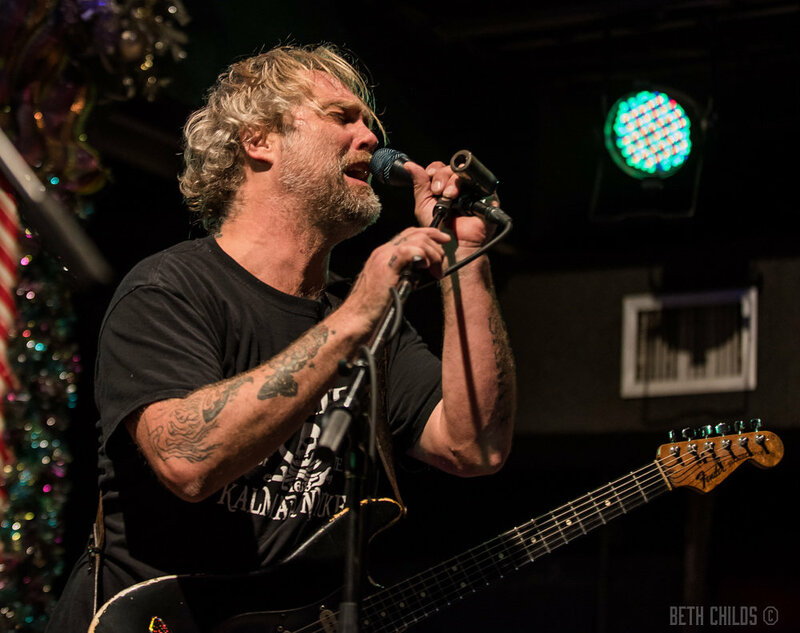 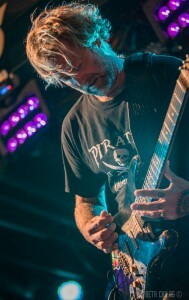 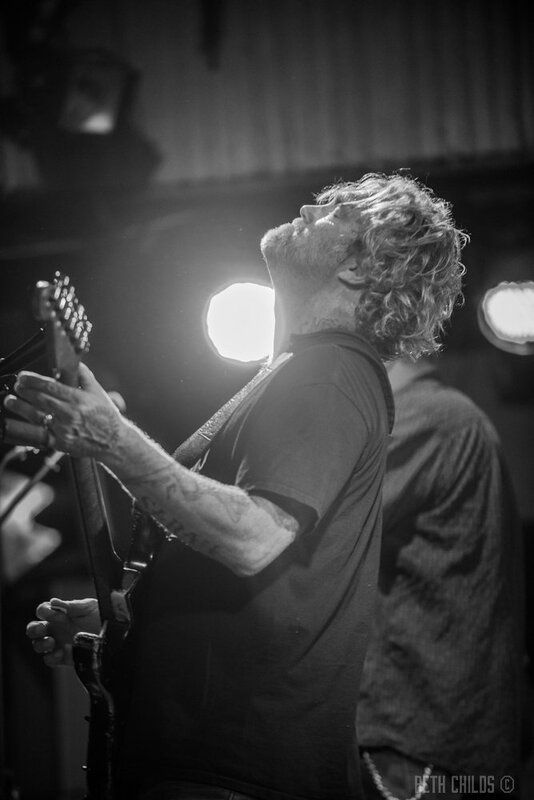 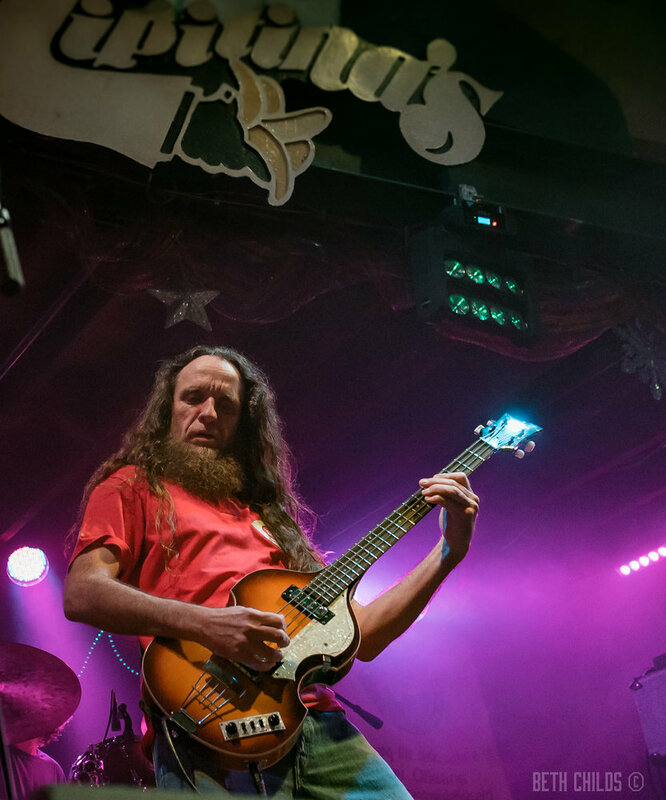 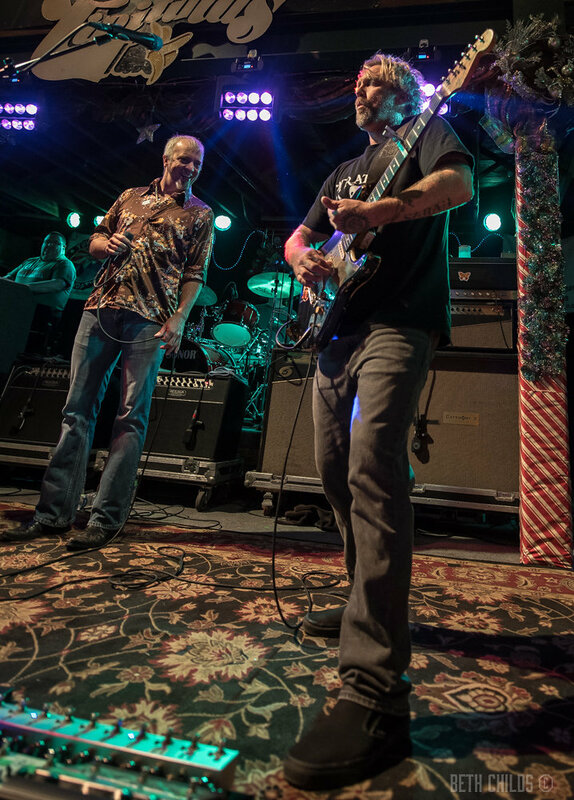 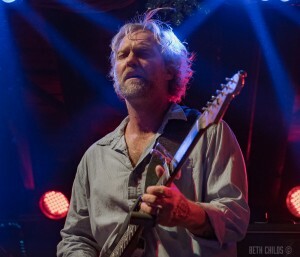 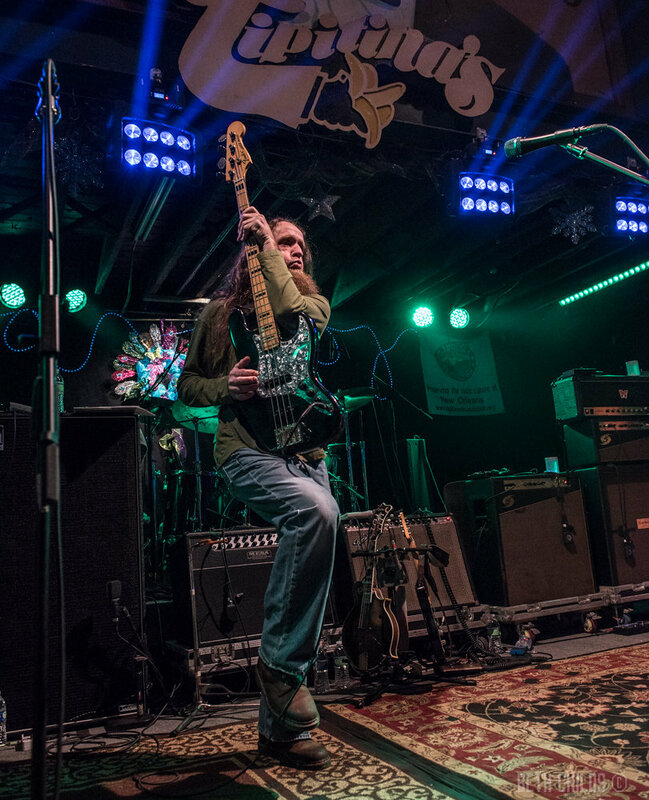 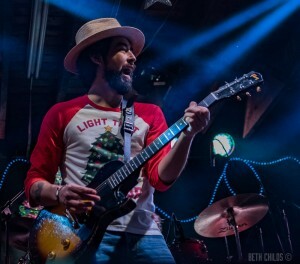 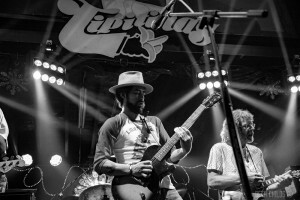 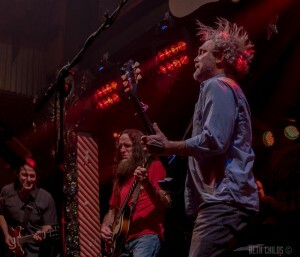 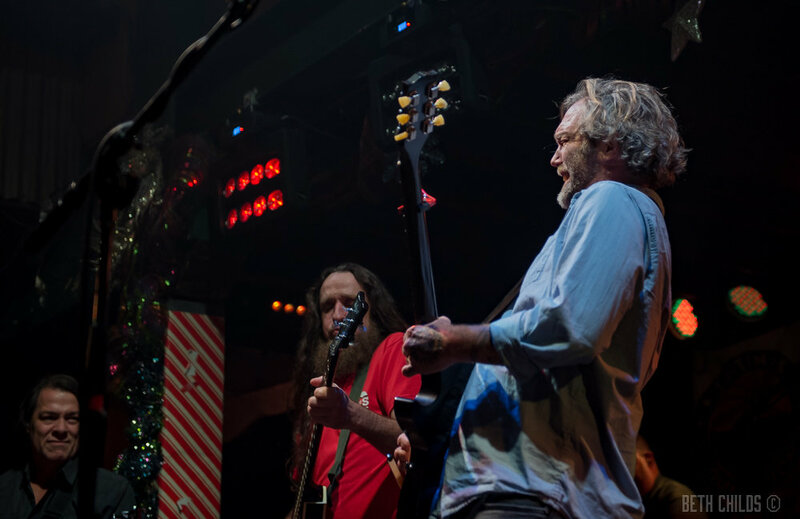 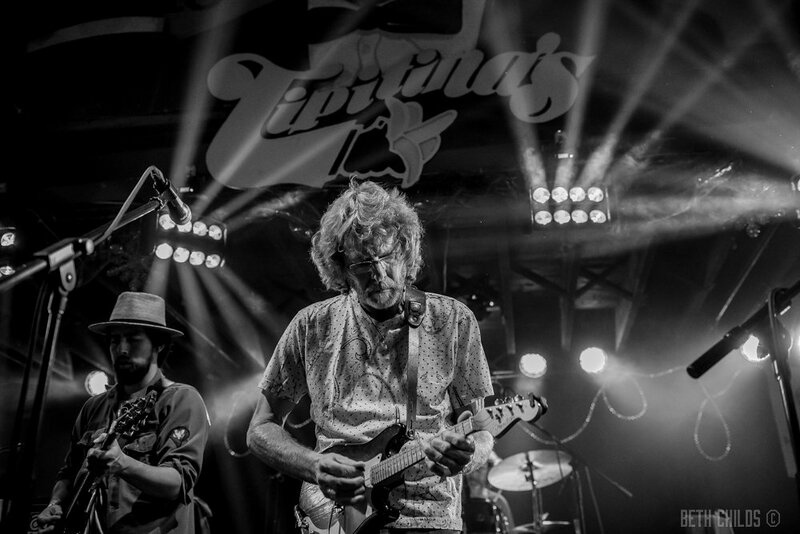 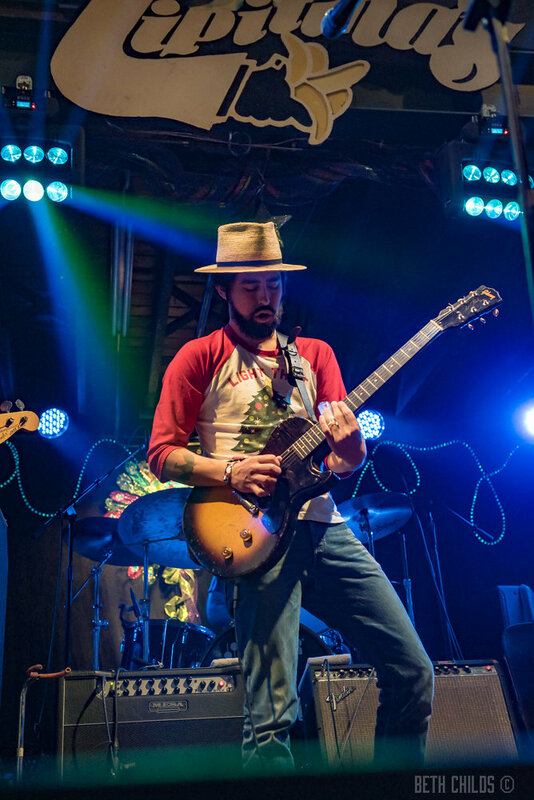 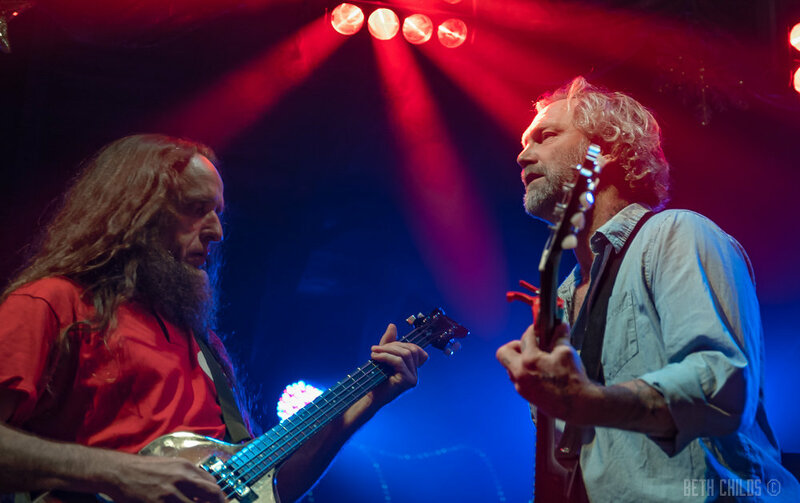 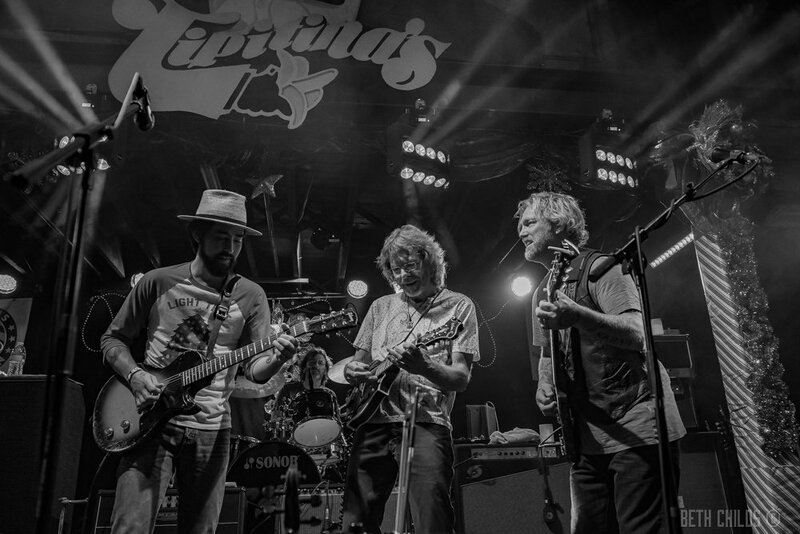 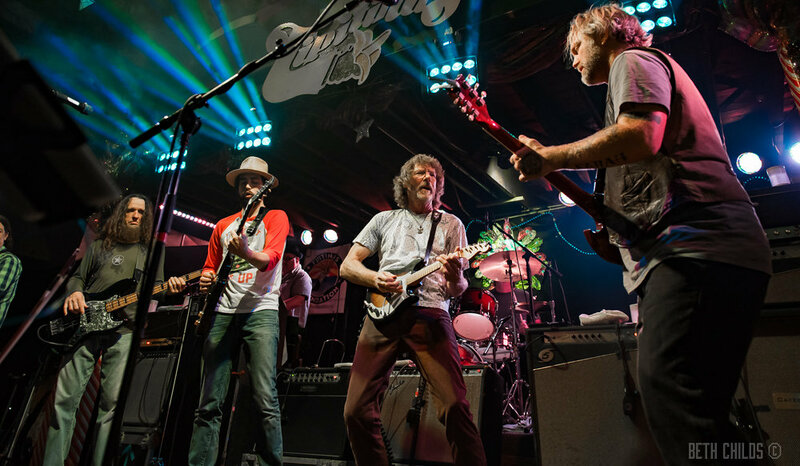 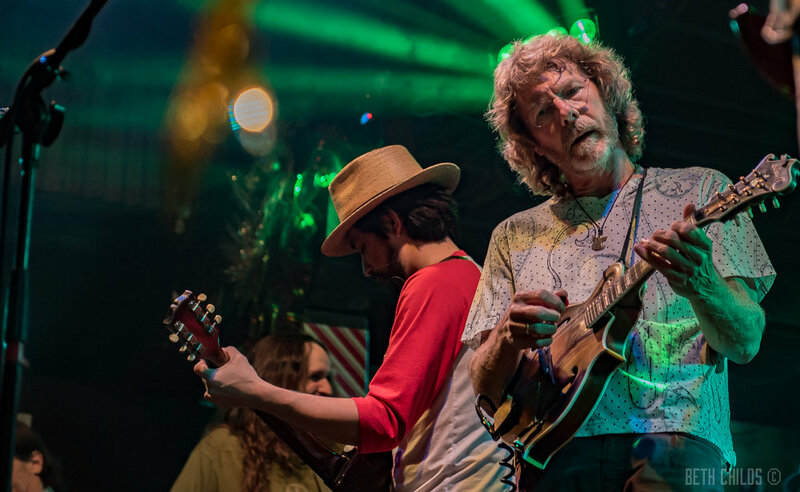 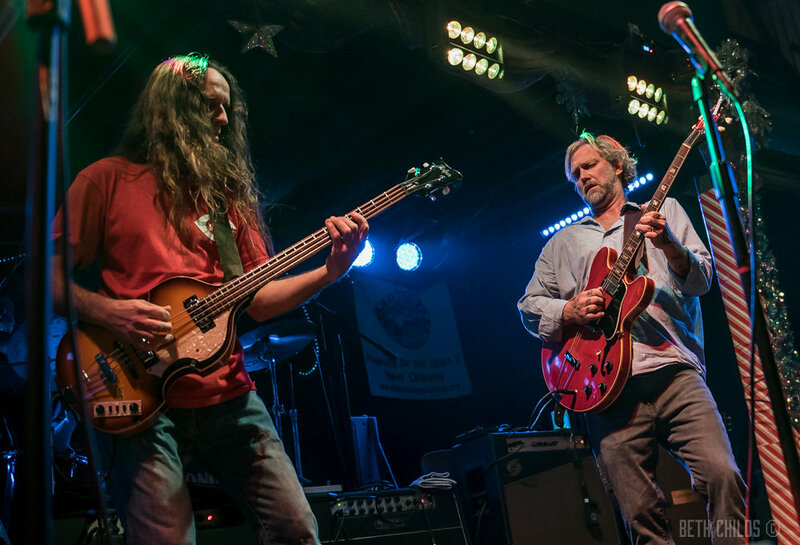 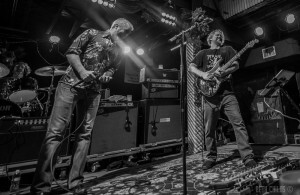 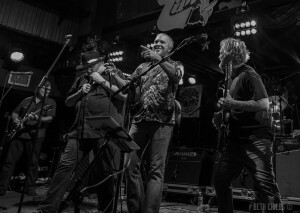 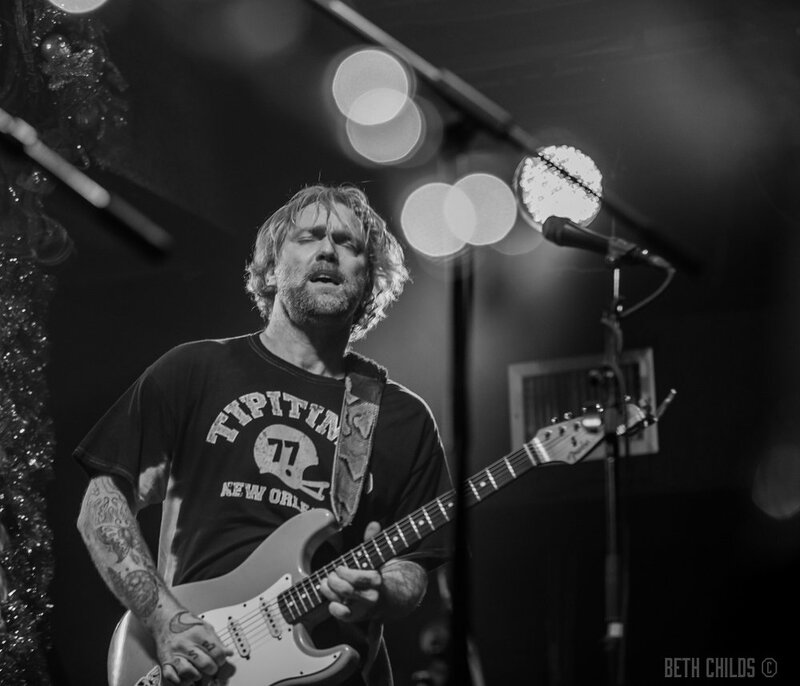 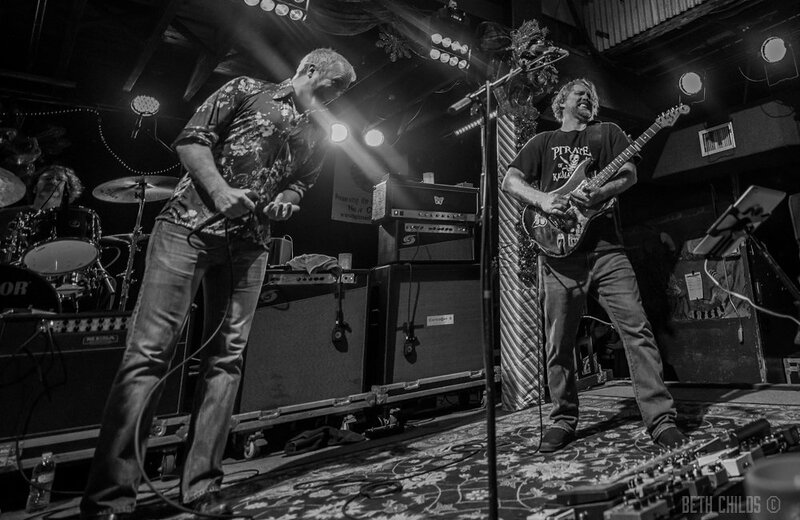 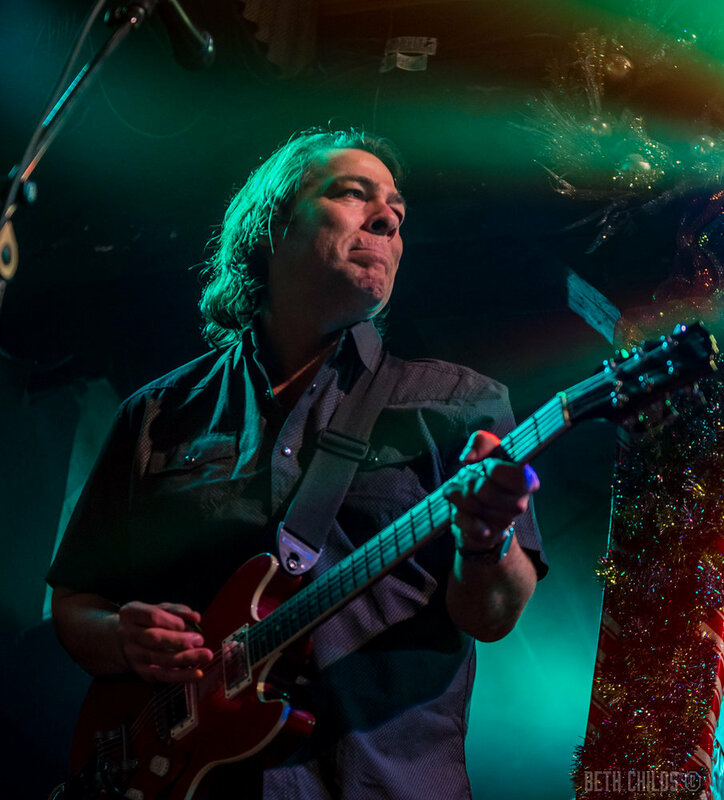 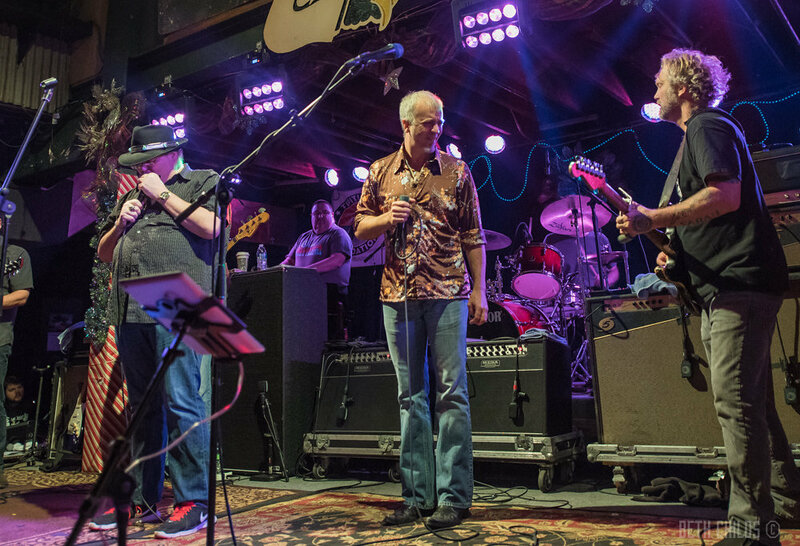 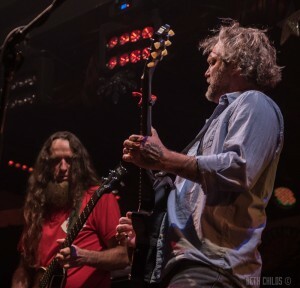 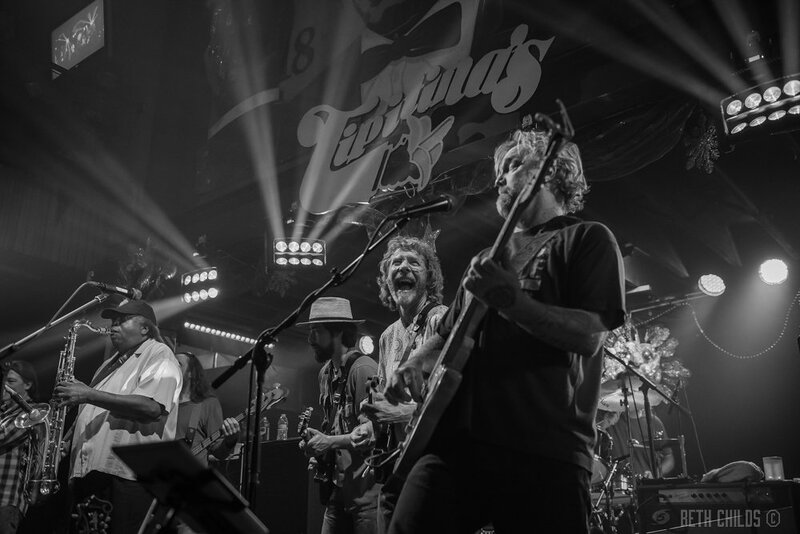 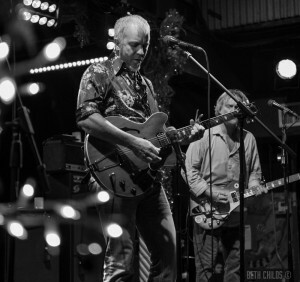 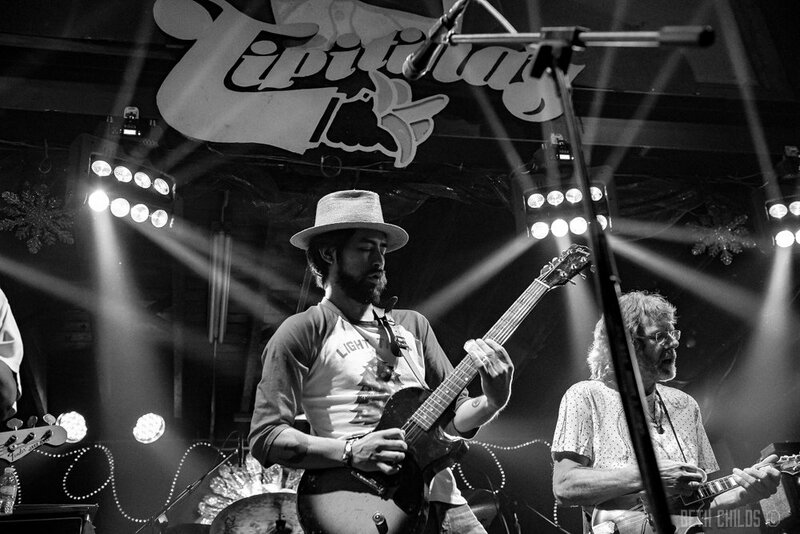 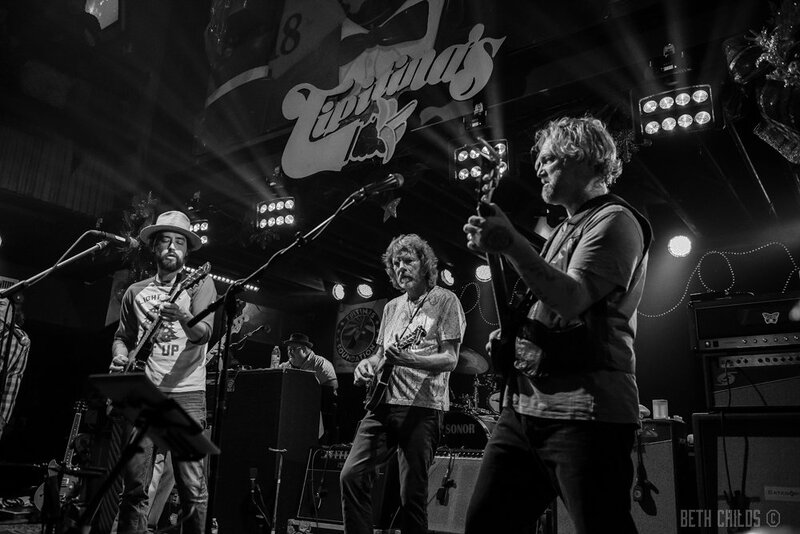 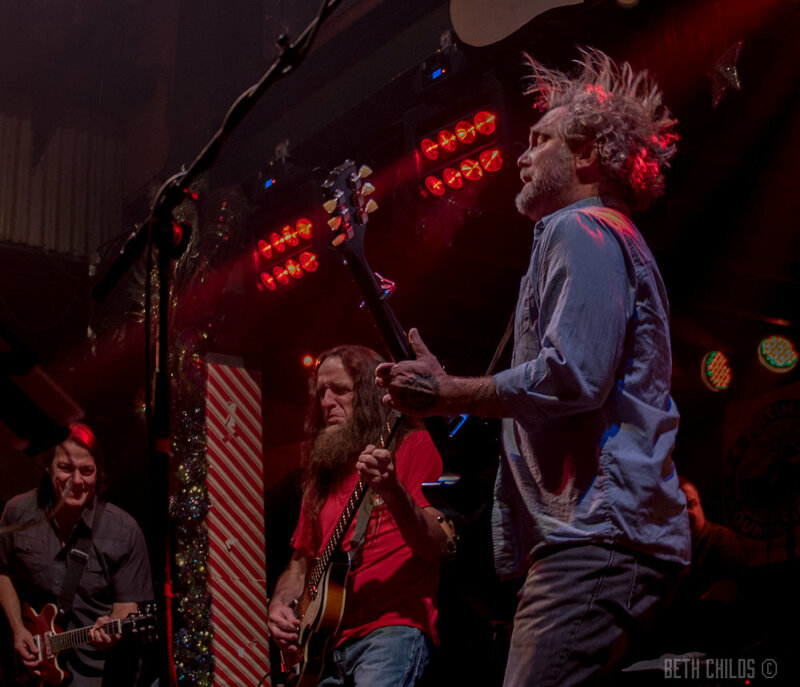 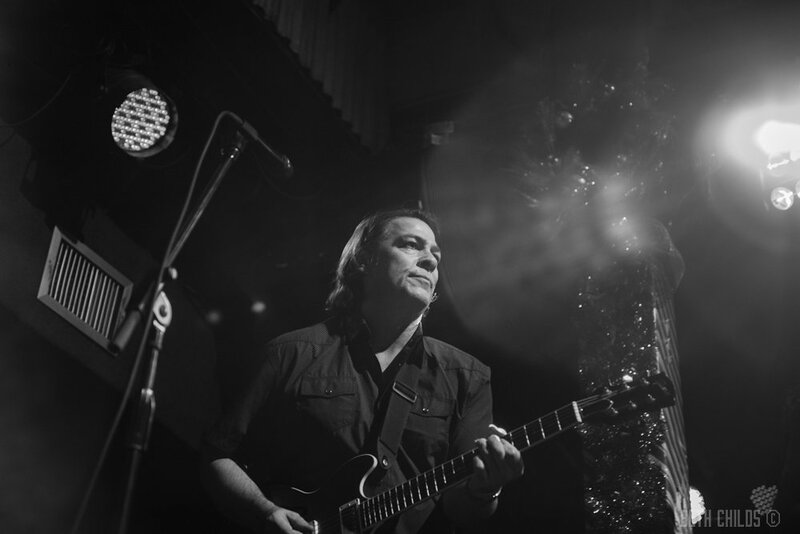 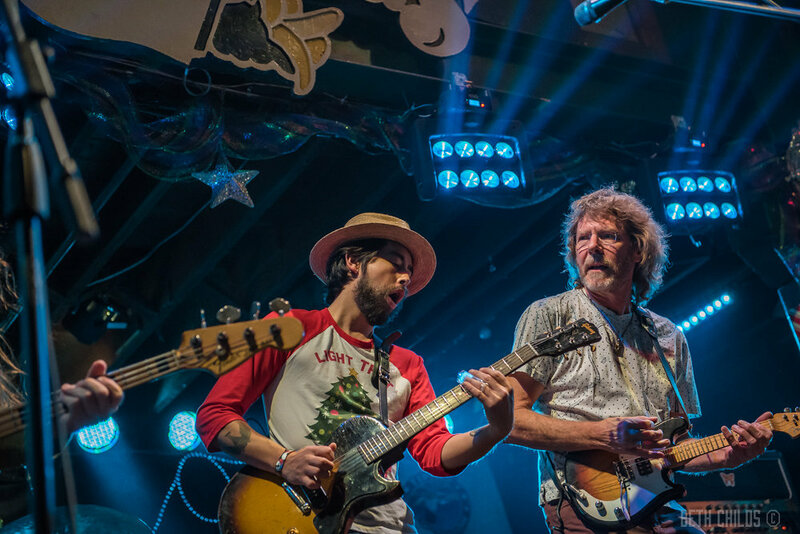 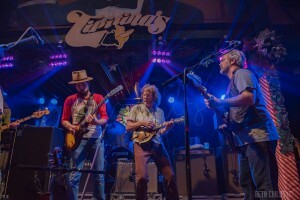 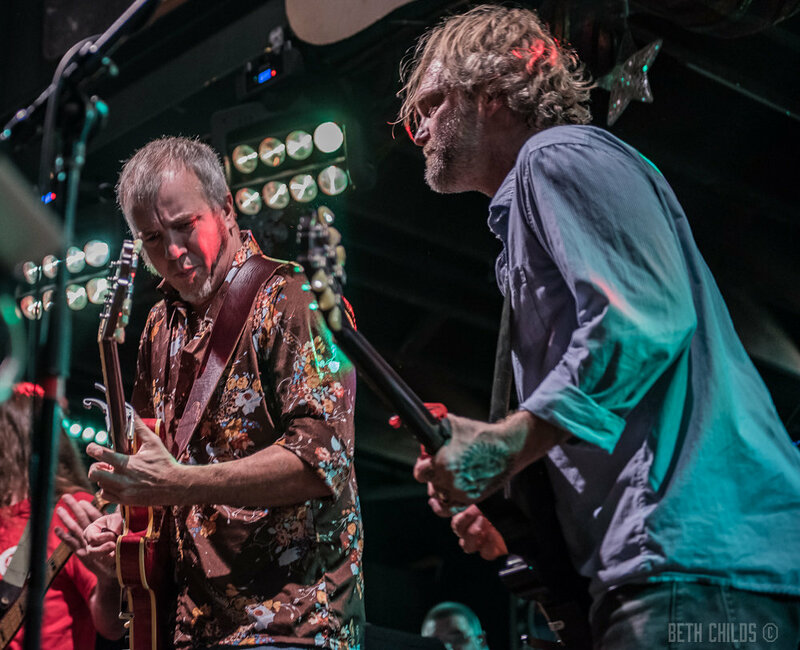 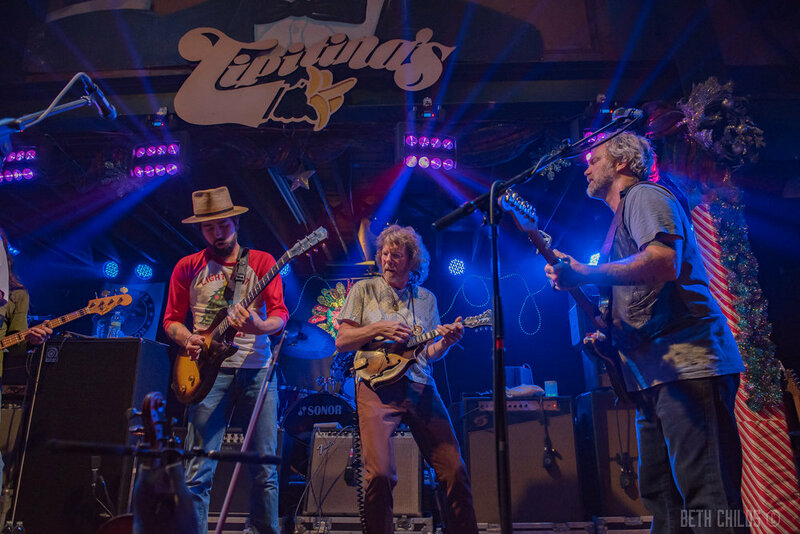 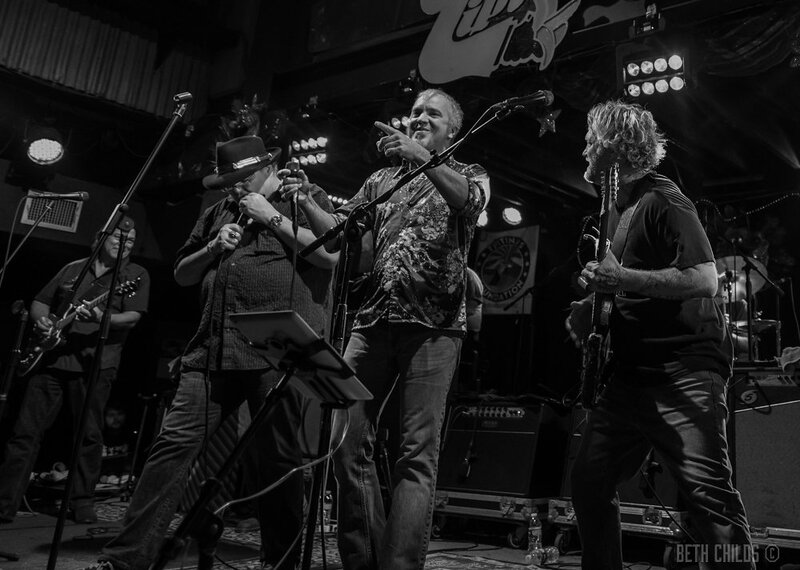 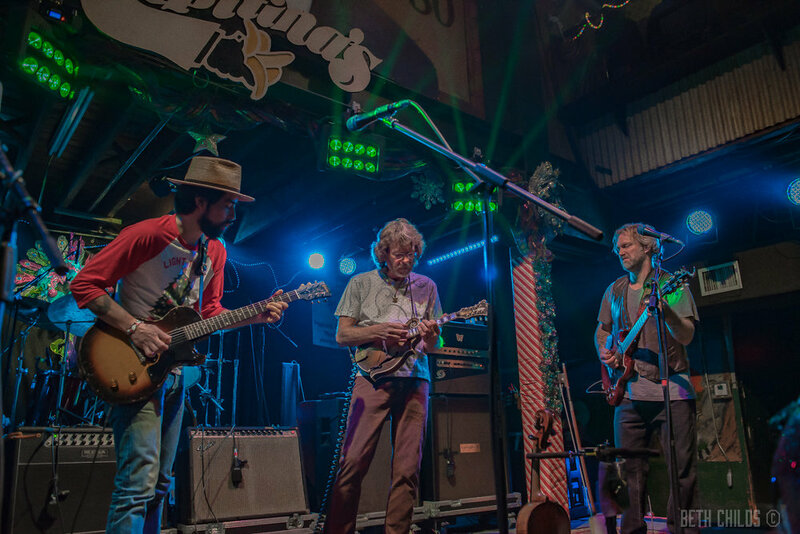 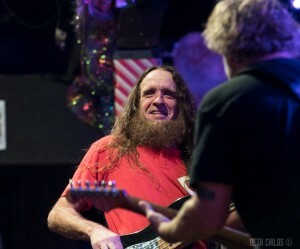 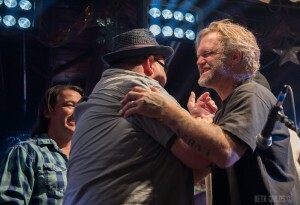 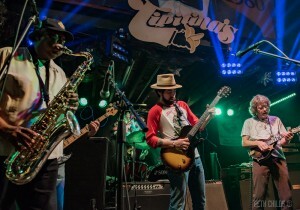 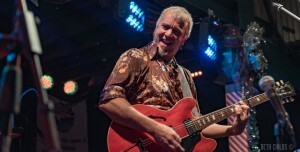 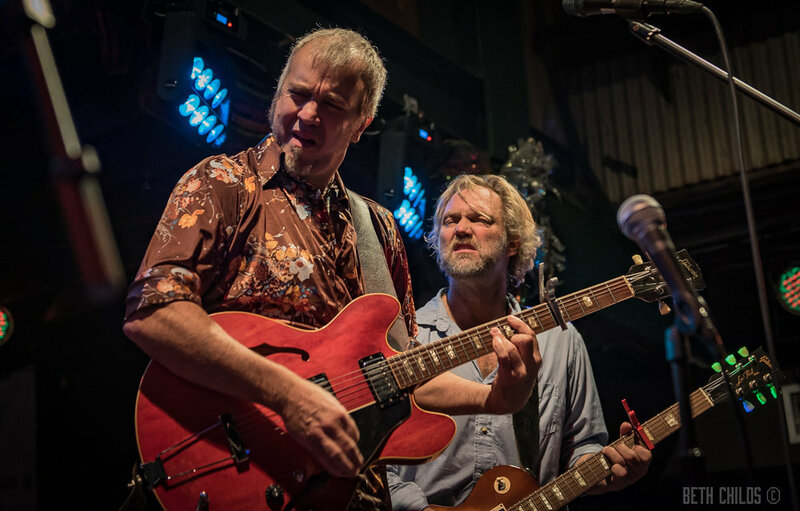 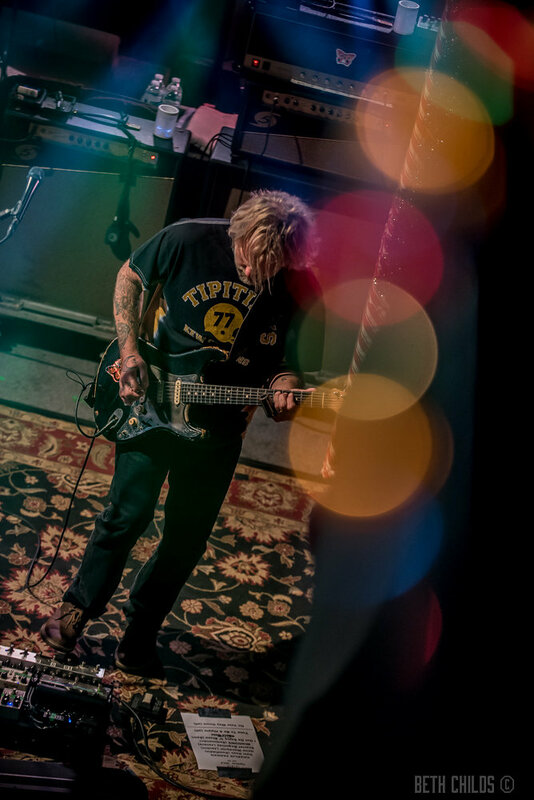 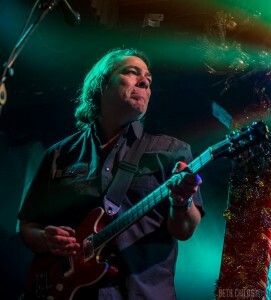 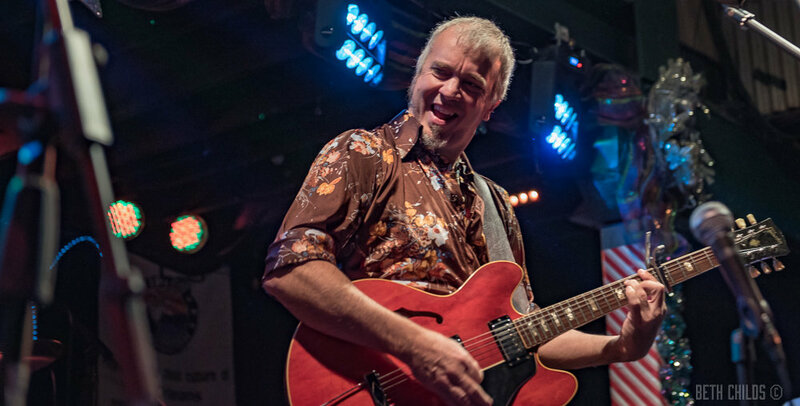 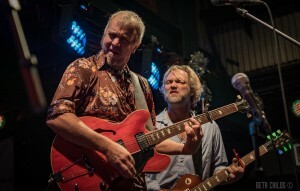 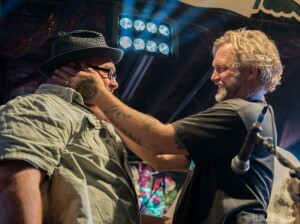 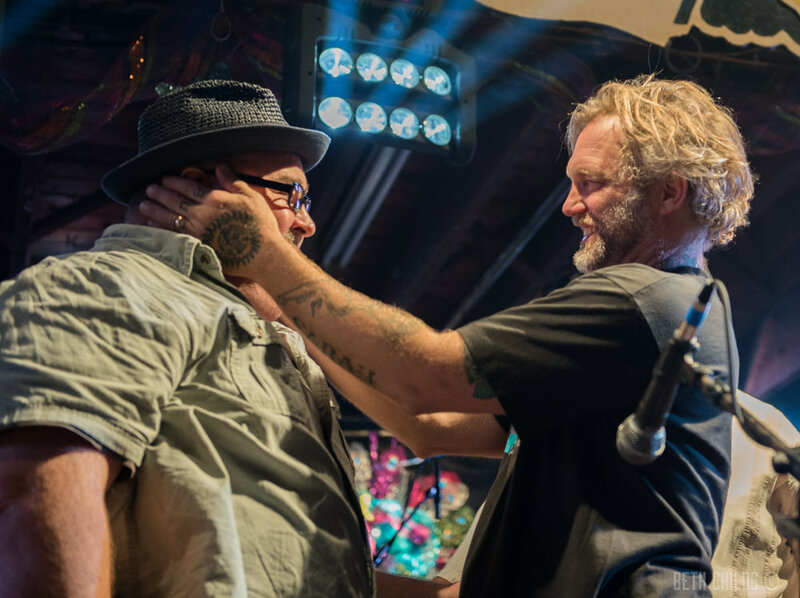 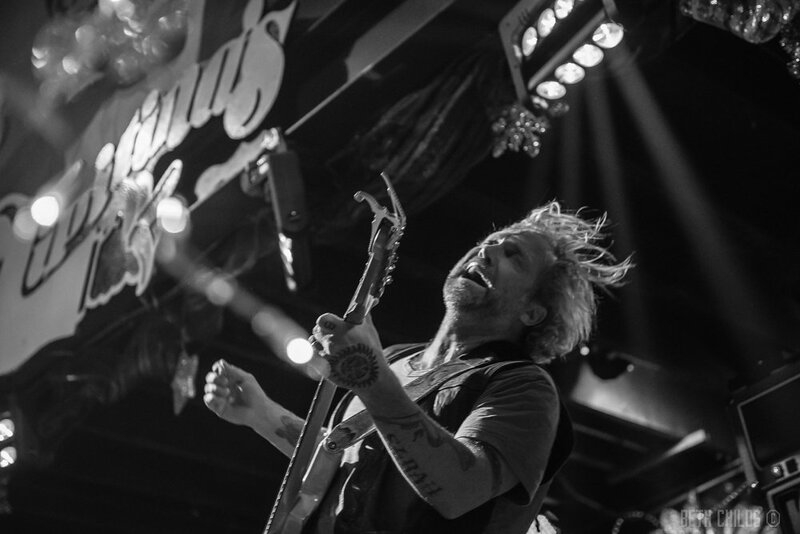 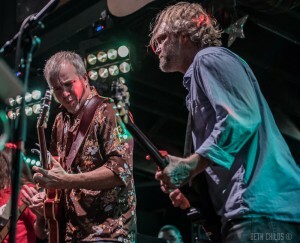 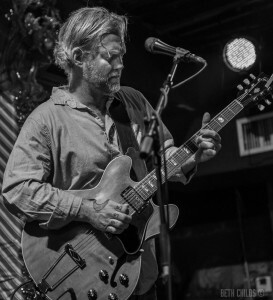 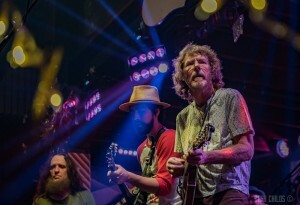 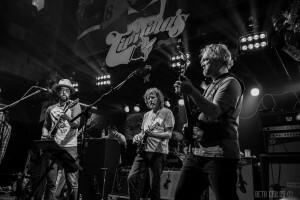 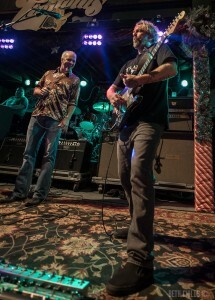 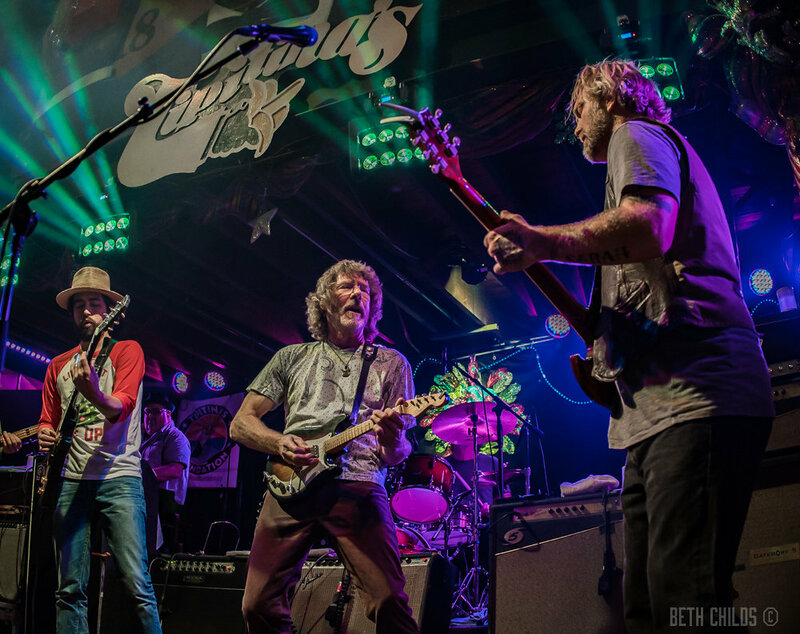 Anders Osborne played host to an all star cast with 2 sold out shows at Tipitinas for his 4th annual Holiday Spectacular in his hometown of New Orleans. 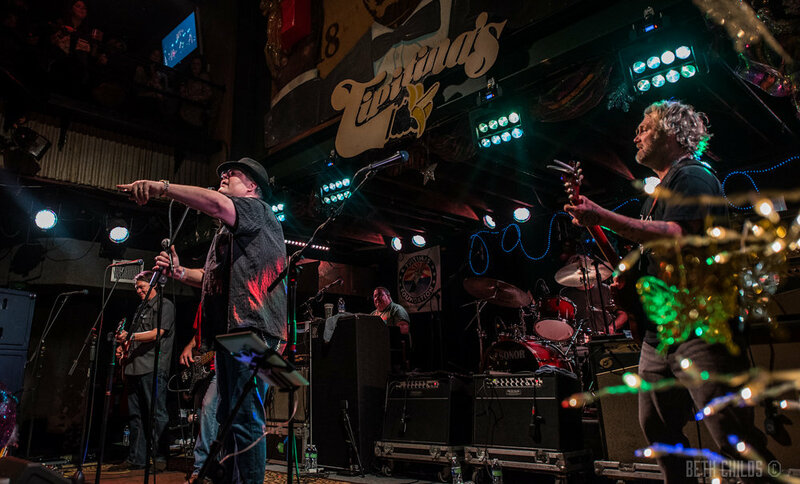 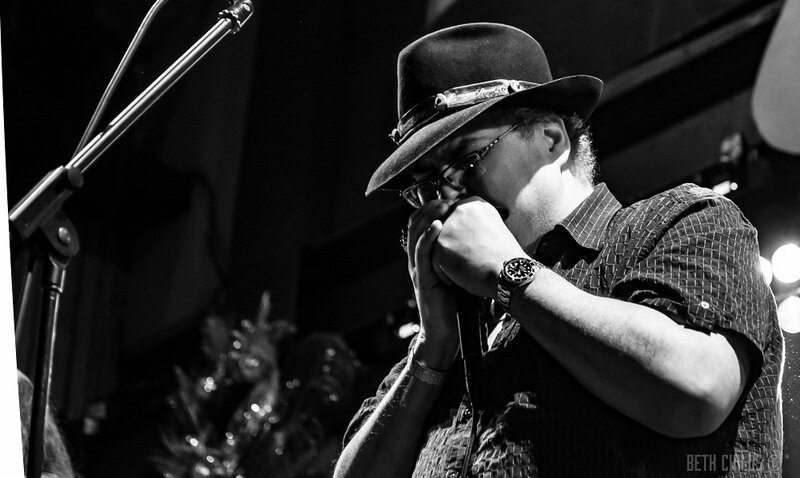 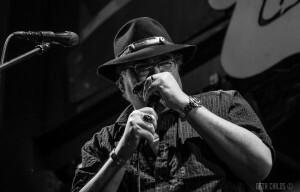 Friday night he was joined on stage by Blues Traveler front man and harmonica master John Popper and fellow Southern Soul Assembly member JJ Grey. The show included originals by each artist with clever cover choices thrown into the pot. Osborne opened the show off with original tunes “Old Country” and “ Back Together”. 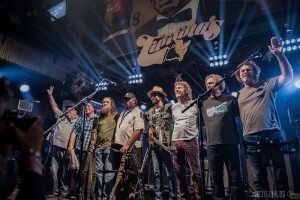 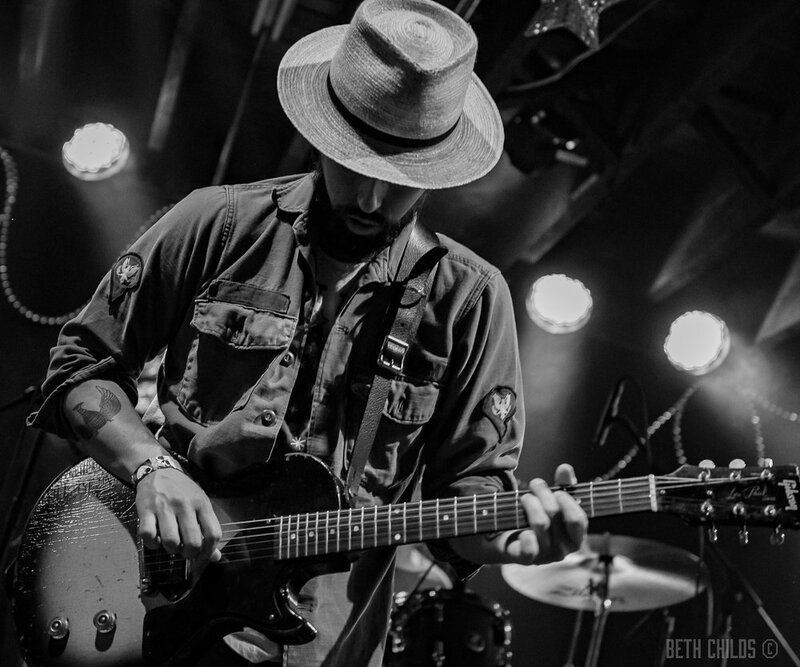 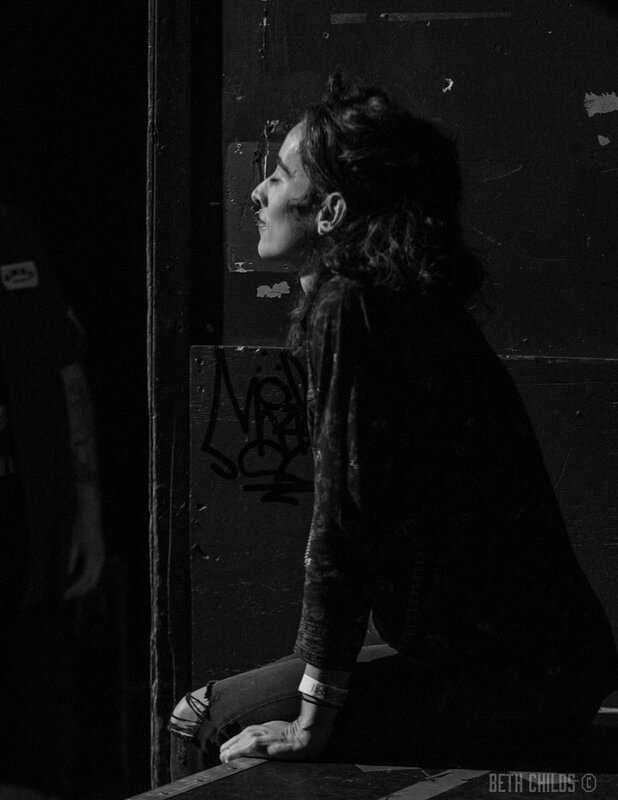 “Five Bullets”, a song about gun violence in New Orleans, was a stand out in set one. 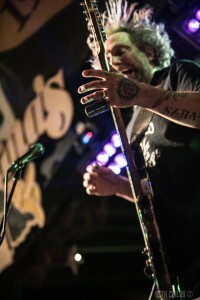 Popper played his wildly popular 90’s hits “Hook” and “Run Around”. He also joined Osborne on “Coming Down” a rich, poignant song about overcoming the struggles of addiction. JJ Grey expressed his admiration for Osborne saying “This guy is like Santa Claus to me. He just gives and gives and gives. 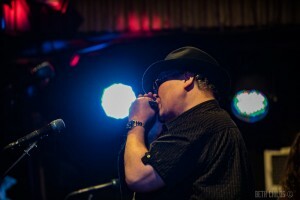 He brightens up the world.” Grey played crowd favorites “99 Shades of Crazy” and “Brighter Days”. 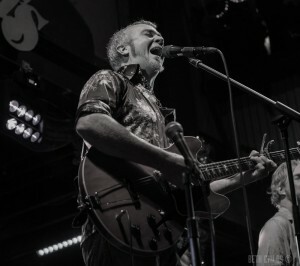 He also led the crowd into a sing along of Osborne’s funky reggae original “Marmalade”. 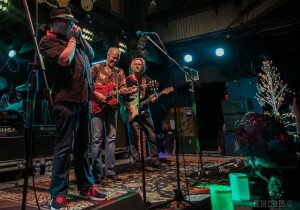 Grateful Dead song “Going Down The Road Feelin’ Bad” was also stirred into the mix and a saucy rendition of Muddy Waters’ “Mannish Boy” closed the show. 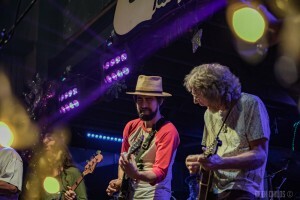 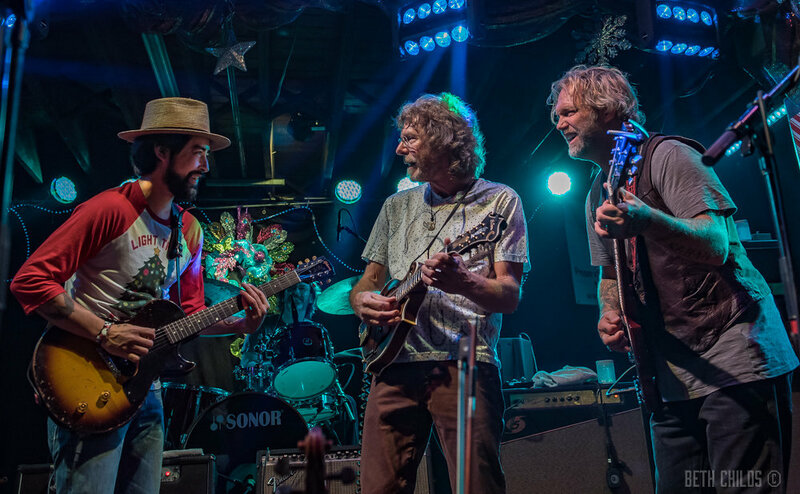 Saturday night Osborne welcomed guitar guru, Jackie Greene and mandolin bluegrass pioneer, Sam Bush. Osborne opened the show with “Echoes of my Sins” and “Back to Mississippi”, both of which showcase his ﬂavorful and innovative guitar style. 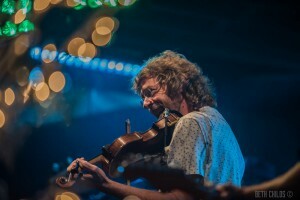 Bush added texture to “Lafayette” with a crisp mandolin solo. 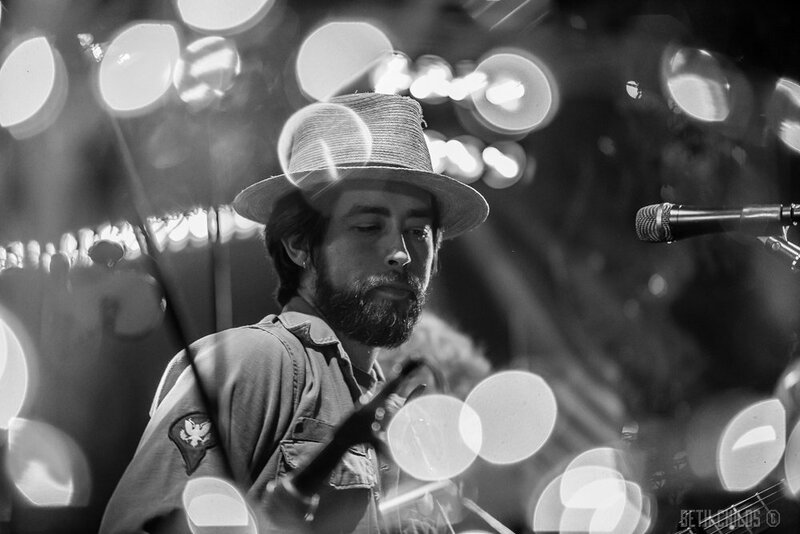 Greene rocked Spread-Heads into a full on hippie shufﬂe with his soulful cover of JJ Cale’s “Traveling Light”. 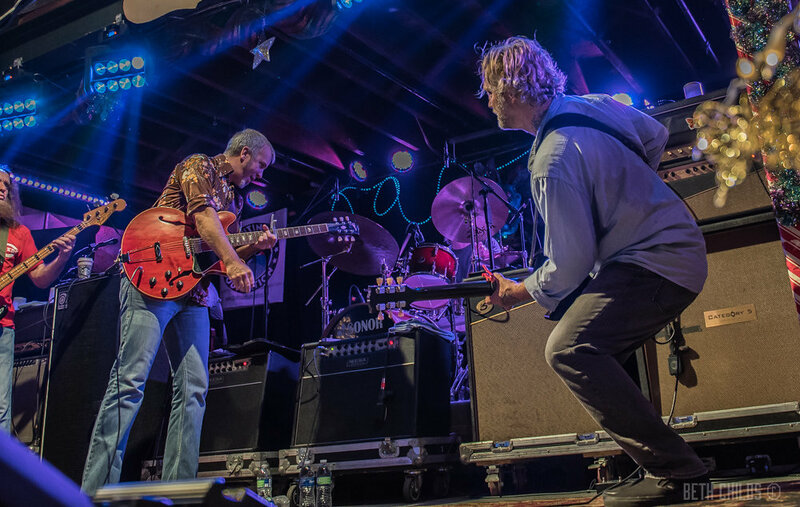 A nod was given to the late great Allen Toussaint with “Get Out my life my Woman” (a personal favorite). 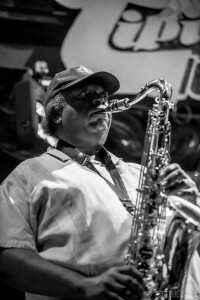 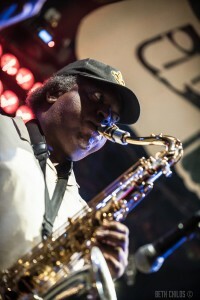 Osborne kicked the 2nd set into to high gear with his rocking classic ”Charlie Parker”. 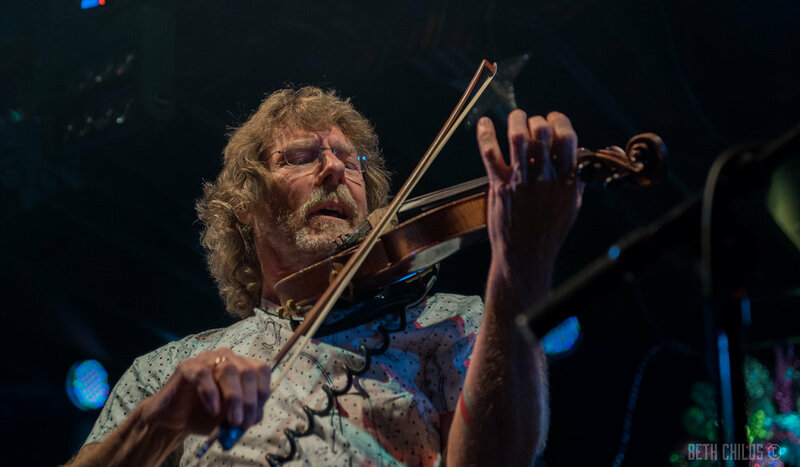 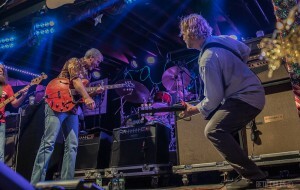 Sam Bush brought the heat with “Same Ole Blues”. Kirk Joseph and Kevin Harris of Dirty Dozen Brass Band joined the stage adding even more ﬂavor to Osborne’s sticky roux. 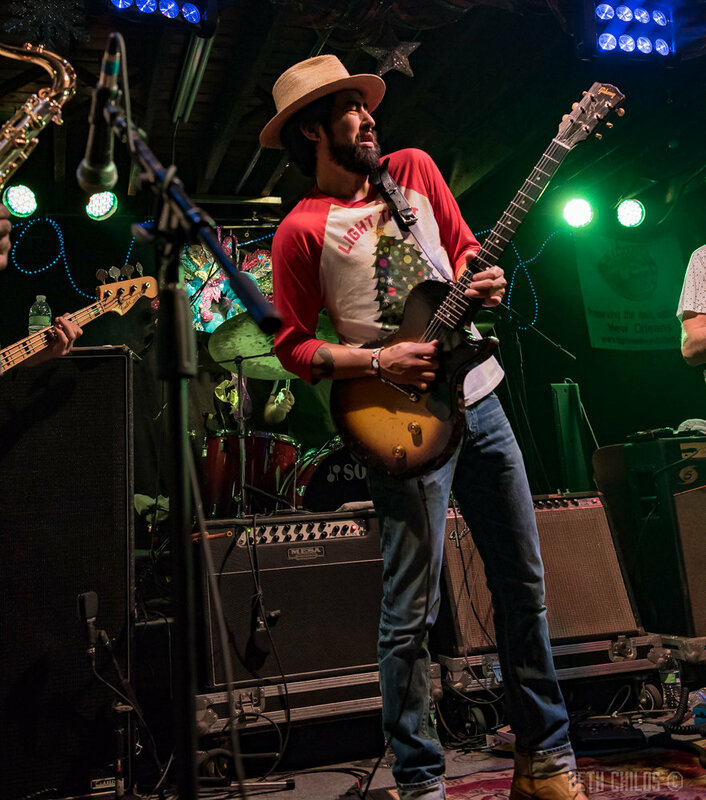 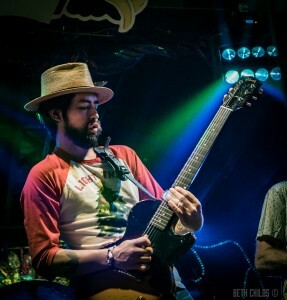 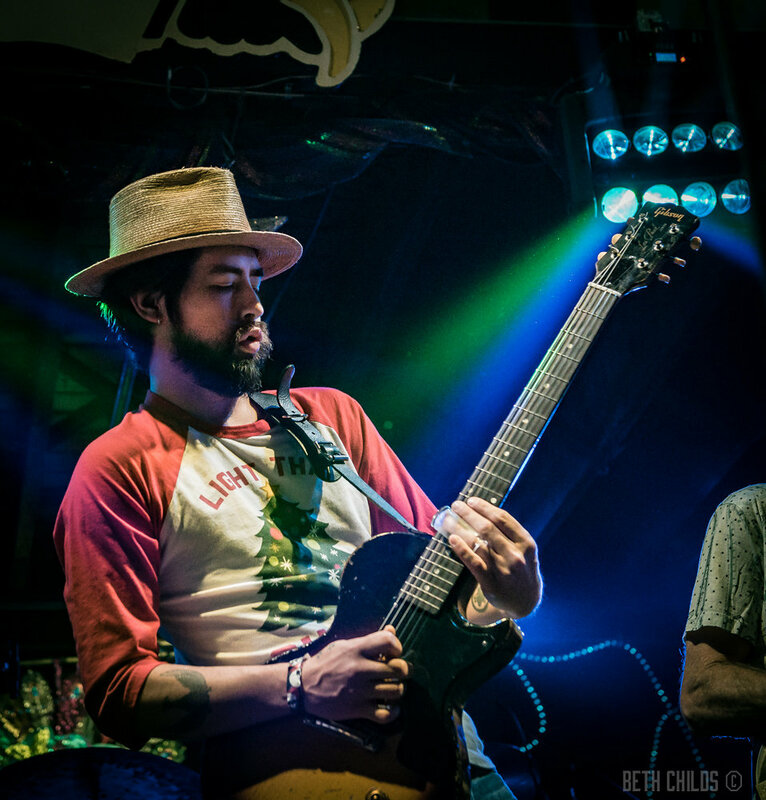 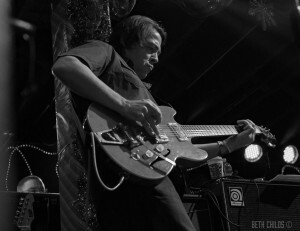 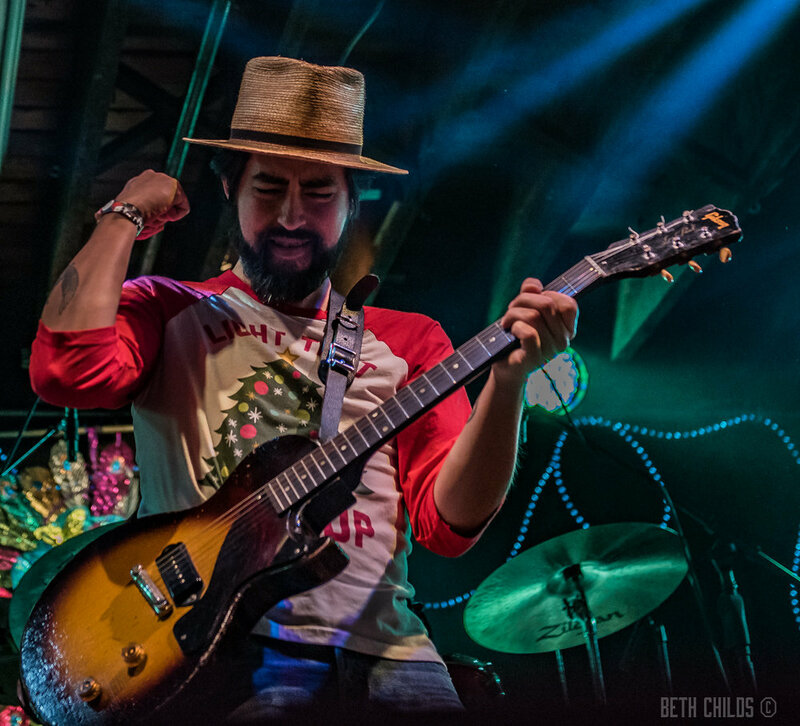 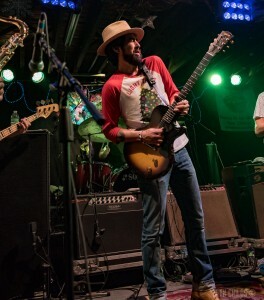 All the while some of New Orleans’ tastiest musicians kept the show at a steady rockin’ rollin’ boil (i.e. 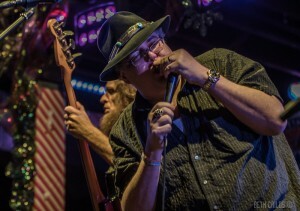 Carl Dufrene Jr– Bass; John Fohl– guitar; John “Papa” Gros– Piano/Keys, Chad Cromwell– drums). 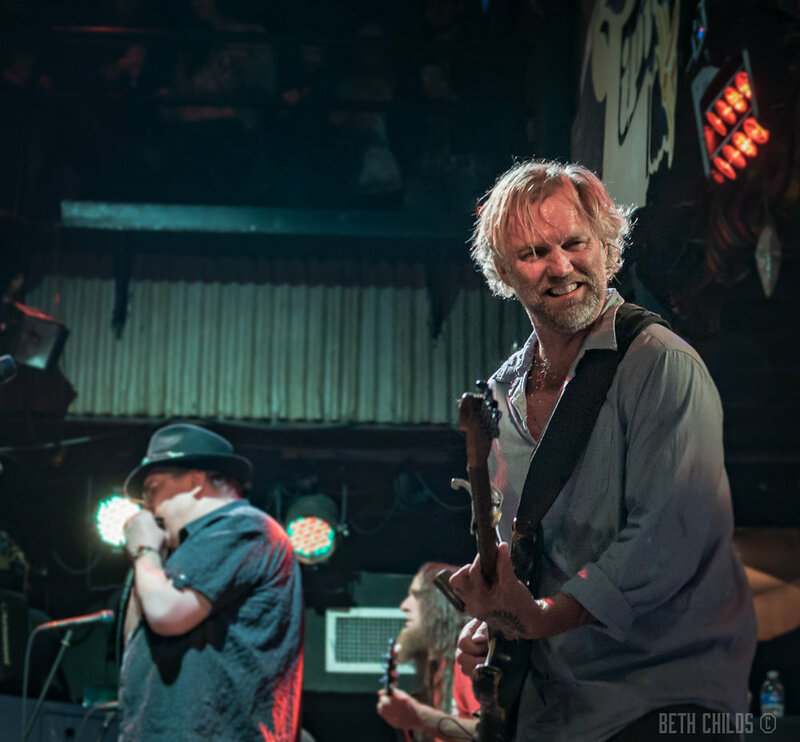 Needless to say, Anders Osborne and friends served up a smokin’ hot helping of some mighty ﬁne music gumbo leaving his audience nothing short of satisﬁed.